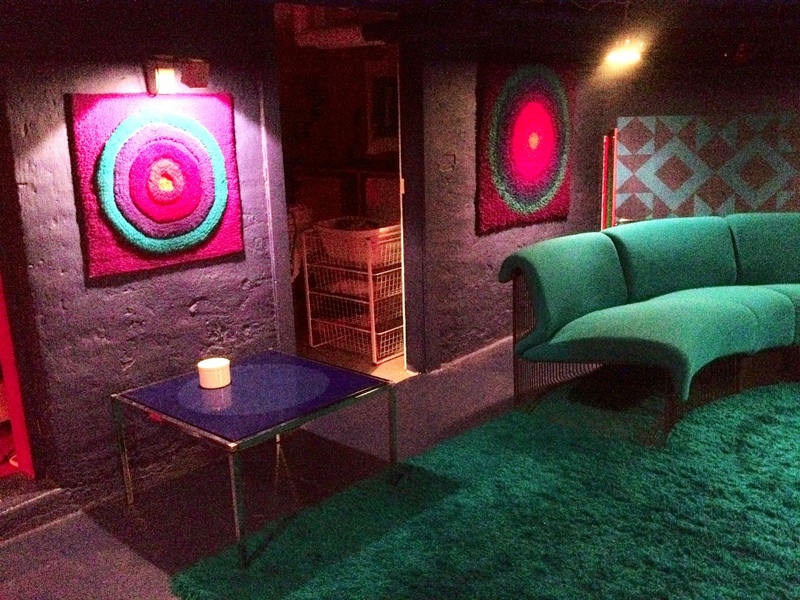 The next project will be to make the the VIOLET ROOM more inte only turquise and blue colours. Here, I would rather have the red paint in a super matte finish because then the light wouldn’t reflect so much red light on all objects. A test with a Cone table in the new AUBERGINE / BLUE ROOM. The lamp is far too big and the Anatomie Ear fabric loses its pattern with orange light. Maybe a spotlight on it will help…?